Refugee Children Detained On Tiny Island Of Nauru Seen Reaching Out Via Facebook : The Two-Way In one entry, a boy describes fleeing Iraq only to struggle with illness and worry about his family's safety. Asked what he wants to be when he grows up, he responds, "Anything, free." Highlighting the stories of refugee children, the Facebook page called Free the Children NAURU is gaining notice in Australia. They fled from Iraq, Syria and other desperate places — and now they find themselves on an island in the Pacific Ocean that is the smallest independent republic in the world. Children who are being detained as refugees in Nauru have reportedly started a Facebook page to tell their stories. 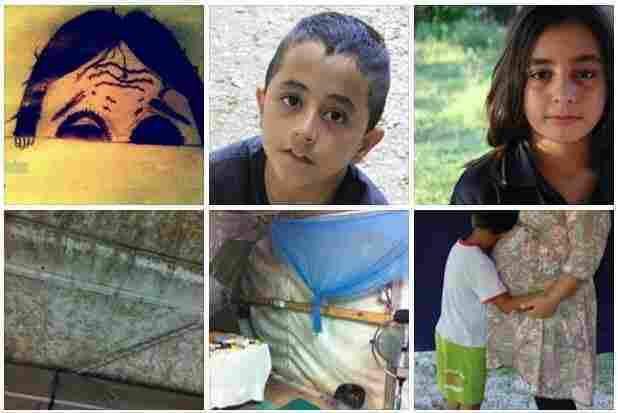 The creators of the page, Free the Children NAURU, say it was made to let "asylum seeker and refugee children doomed on Nauru speak out and share their dreams and hopes with other children around the world." Shortly after we published our post, the group's Facebook page became unavailable. Responding to a request for information — including the question of whether the page might have been taken down at the government of Nauru's request — Facebook says it did not remove the page. The company adds that the Nauru page's privacy settings weren't altered — that it has been removed. The BBC says the page was started by three children on the island, between 12 and 16 years old, along with a "moderator" who isn't on the island. One of the teenagers tells Australia's ABC network, "We want everyone to hear our voices and the situation we going through. We thought if we create this page, many other peoples can see us and feel in our shoes." A recent entry presents the story of a boy who describes fleeing Iraq only to struggle with illness and worry about his family's safety. When asked what he wants to be when he grows up, the boy responds, "Anything, free." The ABC says those who started the page include children who live on Nauru and in its detention center. The network adds, "The administrators of the group want to remain anonymous for fear the page might be shut down, as children inside the camp are not allowed smartphones, while no one in the country is meant to use Facebook." Despite those prohibitions, the page has become a way for the detainees to connect with the outside world — something the page's organizers clearly relish. "When we see people like our page and say something in comment we want to scream our happiness because we know you and you know us," an update from Tuesday reads. "We want to say we love you! It also amazing to see people that did not know us be so kind and know that we hear. Might because we not forgotten childrens. We hope we not forgotten child's." According to the ABC, there are currently at least 80 children in Nauru's detention center. Last month, The Australian reported that the island was housing 794 refugees and 380 people whose requests for asylum hadn't yet been evaluated. Once known as Pleasant Island, Nauru comprises about 8 square miles — a fraction of the size of Washington, D.C. From the air, its geography is dominated by several large features: an airport, two large facilities associated with phosphate mining and a lagoon. Last month, police on Nauru twice raided the offices of Save the Children, a charity that has provided health services and established a school for detained children. The ABC reported that the authorities seized computers and devices that can access the Internet, apparently in response to an unfavorable news article. The charity's contract to provide welfare services and run the school in Nauru expired at the end of October. A video of the group's staff leaving the island for the last time shows children gathered near the runway, waving goodbye as the jet takes off. In Australia, news of the Free the Children NAURU Facebook page is the latest headline-grabbing story to emerge from Nauru, as debates continue over the best way to handle immigration. As part of its secure-borders policy, Australia has been intercepting refugees and migrants at sea and sending them to detention centers in Nauru and elsewhere with the goal of resettling them elsewhere. Last year, Australia said it would give Cambodia some $29 million in aid to take some of its detainees. The Facebook group's creation comes after allegations of sexual and child abuse prompted an inquiry from Australia's government — and, last month, led officials to open the facility and allow detainees to come and go as they please. "Thank you for all your love and caring for us. We really appreciate that. But we are really busy with the bad comments and nasty messages so it's being hard to reply back to those who sending us love and hopes." "We also feel grateful to read those beautiful messages but can't reply back, chasing with those nasty messages because the children won't be happy with those bad messages who are sending. So it's really affect on the kids. Goog night, we will be back tomorrow and we will sleep with your loves in our heart." "Please know it is our government not us who do this to you. I don't know a single other person apart from politicians who would say it is the right thing to do to put children in prison. I wish so much we could do something for you."